Fasten your seat belts conservatives – abortion on demand may be available on Amazon soon – and it’s all thanks to you and your regressive campaign against women. An interesting article was published by The Christian Science Monitor this week discussing the parallels between “today’s movement towards home abortions” and the “cultural battles” prior to Roe v. Wade, the landmark 1973 decision by the U.S. Supreme Court that extended the constitutional right to privacy to a woman’s decision to have an abortion. The women of Jane operated in a world in which abortion was illegal but viewed as necessary, even by many in law enforcement and the clergy. 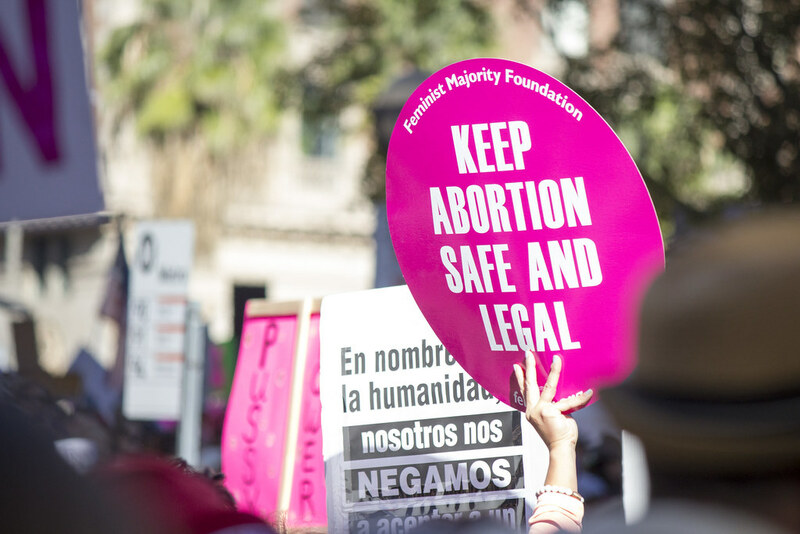 Today, abortion is legal, but advocates for it often work in a climate where the procedure is increasingly fraught with the risk of persecution and prosecution. Between 2011 and 2015, legislators across dozens of states implemented nearly 300 laws that regulate who can perform abortions and restrict how, when, and why a woman can undergo the procedure. The result is a two-tiered system where access to clinic-based abortion care is limited to those with the resources to get to a place that provides it, says Jill Adams, chief legal strategist for the Self-Induced Abortion (SIA) Legal Team, a nonprofit consortium that works out of the University of California, Berkeley. Members of Plan C, like Jane, believe that the heart of the issue is a woman’s absolute right to decide if and when to have a child. Today, Plan C hopes to provide a similar service. By raising awareness about the abortion pill – and eventually making it accessible – the group hopes to give women the option to safely terminate their pregnancies without relying on distant or costly medical providers. The team envisions a world where medical abortion pills are as ubiquitous as the morning-after pill, which is available not only over the counter at any pharmacy, but also online via Amazon. Different states have different laws governing the use of medication abortion, although the Food and Drug Administration just last year significantly loosened restrictions around the pill, allowing for lower dosages and fewer visits with a doctor. In most cases, purchasing medication abortion online requires telemedicine appointments with a doctor before use. And, as Mediaite concludes, if conservatives are shocked at the prospect of abortion on demand being available via Amazon – they only have themselves to blame. To groups like Plan C, technology is the future of protecting reproductive rights. And if conservatives are shocked, uncomfortable, even disgusted by the idea of abortions being available on Amazon, they have themselves and their sneaky, anti-woman laws to thank — they’ve forced abortion rights advocates to get creative to protect women’s rights and, well, this is what they’ve come up with.